Description: TSAL018 - Roar Of The Beast Statue - Roar of the Beast is a big cat garden sculpture brought to you as a sculpture fraught with arte decoration and made of Italian marble that can be set at a building entry, as custom made statues or as garden art. 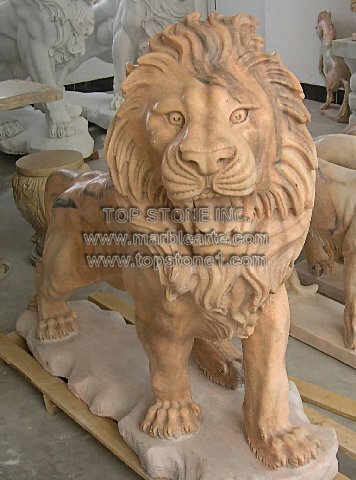 These lion garden statues can be yours at marble statues for sale and outdoor sculpture for sale. So go ahead and make ample use of this opportunity.